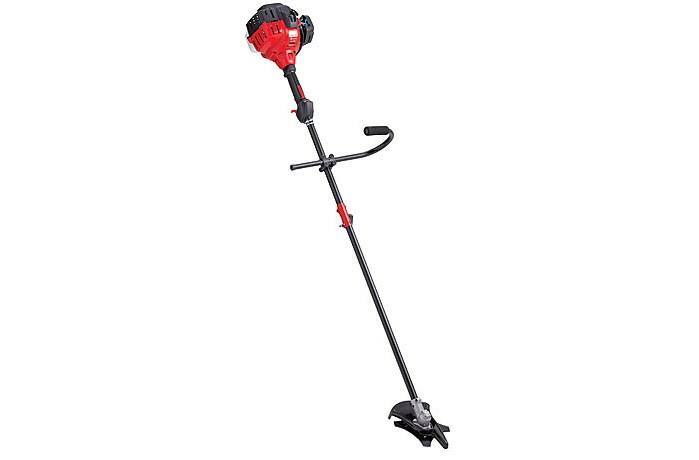 When a string trimmer alone just can't get the job done, rely on the TB42 BC's brushcutter, with a tough 8" steel brush blade, to power through dense weeds and brush. 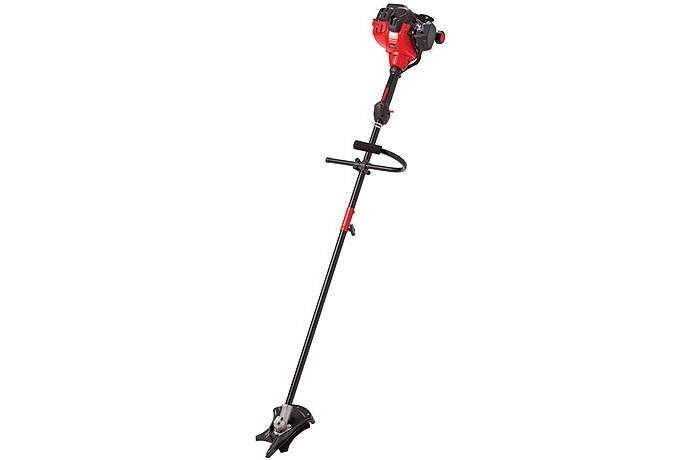 This cordless gas trimmer also converts to other outdoor tools with its TrimmerPlus™ attachment system, and features our patented SpringAssist™ starting system. TrimmerPlus® attachments and JumpStart™ sold separately. SpringAssist™ Starting Technology: SpringAssist™ starting technology dramatically reduces pulling effort by up to 55%. JumpStart™ Capable: Take the effort out of starting with JumpStart™ power start technology. Attach JumpStart to any JumpStart-capable Troy-Bilt® unit and start with the push of a button. Accepts TrimmerPlus® Attachments: Accepts interchangeable TrimmerPlus® attachments, which turn your trimmer into a garage full of tools.